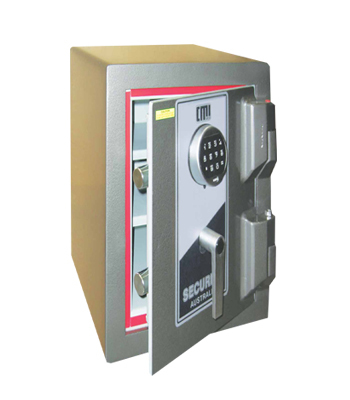 Commercial safes are suitable for business, commercial and high-risk applications. A typical commercial safe consists of a single, outward swinging, hinged door secured with a key, combination or digital lock. These safes can include internal fittings such as shelves and drawers and many offer some degree of fire resistance. If you need greater fire protection don't miss our range of Record and Data Safes. Free standing safes are available in several grades which are described in detail on our Information Page. Free-standing safes weighing under 1000kg should be fixed securely to the floor, using construction grade bolts.